Indeed, there are many breeds that are large, huge even, but none can truly compare to the Mastiff Puppy! Mastiff puppies for sale suffer from health risks associated with their breed, much like any other dog. The most common health risks include joint and structural problems, heart conditions, eye diseases, bloating, and cancer. 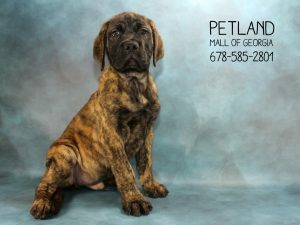 The joint and structural problems mean that you can not overfeed your Mastiff puppies for sale that you’ve purchased, once they’re home and in your care. They are prone to hip dysplasia, which means their thigh bones won’t fit into the hip socket properly. Over time, it can result in arthritis. Regarding bloating, it is not uncommon for other dogs, but it’s almost certain for Mastiffs. Mastiff puppies for sale come with associated costs, much like other dogs. 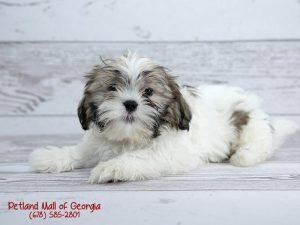 You should be prepared for vet bills, training, the cost of food, toys, maybe some clothing, and other optional choices like pet sitters or walkers. Mastiff costs can be much more expensive, however. Because of the aforementioned health risks, their heart costs are more. And because of their massive size, you’ll certainly be paying for for food! They will need high quality food to keep them healthy, thus lowering any potential vet visit bills. 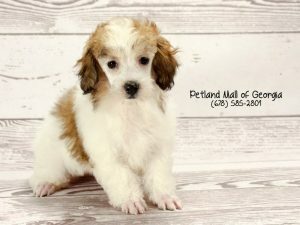 25 Mini Poodle Facts that you didn’t know! When you see mini Poodles, you know exactly what they are, because their classic Poodle silhouettes are undeniable! Below are 25 facts we’ve gathered about these pampered pooches! Despite their association with French culture, Poodles are actually from Germany. Poodles are referred to as “pudel,” which is German for puddle. In France, Poodles are called “caniche’ which means duck dog. Poodles were the most popular breed in France, for 20 years starting in the mid-1950’s. After World War II, Poodles became popular in the U.S. Before that, they were rare. Poodles weren’t bred for their appearance until the 19th century. Mini Poodles are so popular that pop culture named the “Poodle skirt” after them! 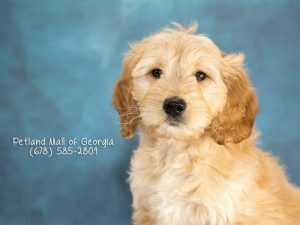 There have been tons of celebrities who have purchased mini Poodles for sale, including Liz Taylor, Picasso, Walt Disney, Marie Antoinette, and Patrick Swayze. In the late 1980’s a man named John Suter decided to enter the Iditarod sled team race with all Poodles. The Standard Poodle was utilized for duck hunting. Mini Poodles for sale previously held the job of sniffing out truffles in the woods. Mini Poodles for sale have a lifespan of 12-15 years. Adult Poodles sleep approximately 13 hours a day! Poodles really love riding in cars, and many mini Poodles for sale accompany their owners on flights! 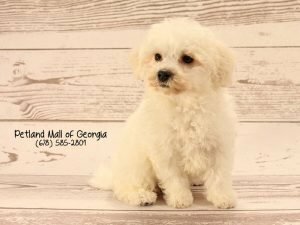 Poodles are mostly hypoallergenic.Poodles are mostly hypoallergenic.You’ll find that mini Poodles come with coats of many different colors including black, white, gray, silver, brown, and cream. Mini Poodles are born with coats that change as they mature. It is much softer and less curly. Because their coat is so curly, ingrown hairs are fairly common among Poodles. Apply a coat conditioner to your Poodle to keep her hair soft and tangle free. Poodles are mostly hypoallergenic. 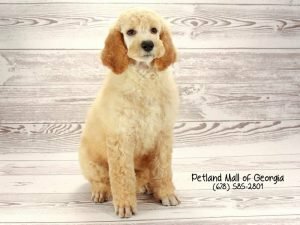 Keep your Poodle’s ears groomed! 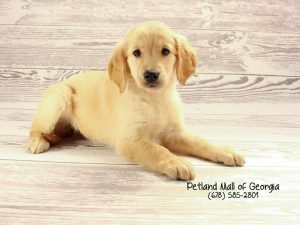 The American Kennel Club only allows four specific clip styles for competitions. Some Standard Poodles can be rather sensitive. Poodles can suffer from separation anxiety if they are left alone for extended periods of time. Pug puppies for sale crave constant love and praise. 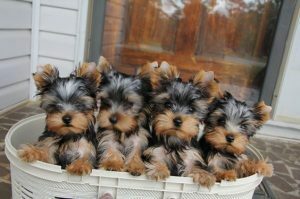 They’re just sweet and adorable pups and they have tons of love to give…constantly, so they expect it in return. Pugs are always there waiting to cheer you up when you’re down or just to put a brighter smile on your face. Pugs need attention to be truly happy dogs. 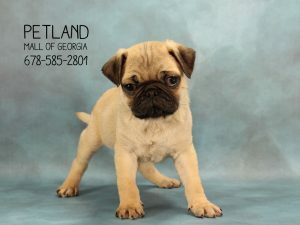 You’ve got to take care of the teeth of Pug puppies for sale that you purchase and bring into your home. Pugs with healthy teeth digest their food better and reduce the chances of intestinal blockages and stomach related illnesses. To properly care for their teeth, give them healthy foods and treats. They need hard but chewable bones to keep their teeth clean. They reduce plaque and tartar. Pug puppies for sale aren’t fast runners, or joggers for that matter. You should always keep your Pug in fenced areas, should you decide to let him outside for a while. Pugs aren’t aggressive pups, even when provoked. To avoid confrontations with other dogs, just make sure that your Pug is protectively confined so that they don’t encounter cars, cats, or dogs. Along the same lines as the above, if you don’t have a fenced in area, they should be leashed when they’re outside and unsupervised. Stay up-to-date with appointments and contact with your veterinarian. Always protect your Pug puppies for sale that are now your pet companions from fleas, ticks, and other parasites. Use repellants like Frontline or those administered by your vet. You also want to keep your Pug protected from worms, by cleaning up their poop immediately after he’s relieved himself. Hookworms, for example can easily be found in a pup’s stool and lay eggs in the grass for up to a year! Close contact with that poop can affect your Pug. Mosquitos are also pesky pests, so preventatively protect your Pug from them.